What can we learn from the story of Lazarus and what Jesus did? We learn why God would desire to welcome His enemies into His family- what is the mess and what is God’s solution? Part 2 of this study will reveal the lessons we can learn from Job questioning God as we uncover the underlying meaning of two animals God mentions that have fantastic qualities. 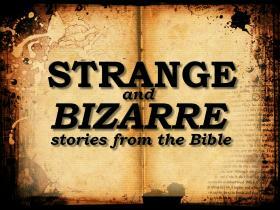 part 10 of Strange and Bizarre stories from the Bible. In this session we look a the sun standing still, going backwards and going dark. 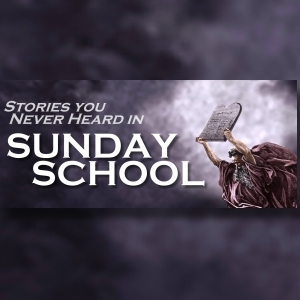 In this study Pastor Waggoner discusses what principles we can apply into our own lives from this strange story of a prophet who takes a prostitute as his wife. What is the meaning behind these young men’s demise just for making fun of God’s prophet? Pastor Waggoner reveals the underlying meaning and what we can learn from this strange Bible story. Pastor Waggoner discusses what we can learn from the talking animals noted in the Bible. Here we discuss literal giants in the Bible but we also learn how to deal with the “giants” in our own lives.